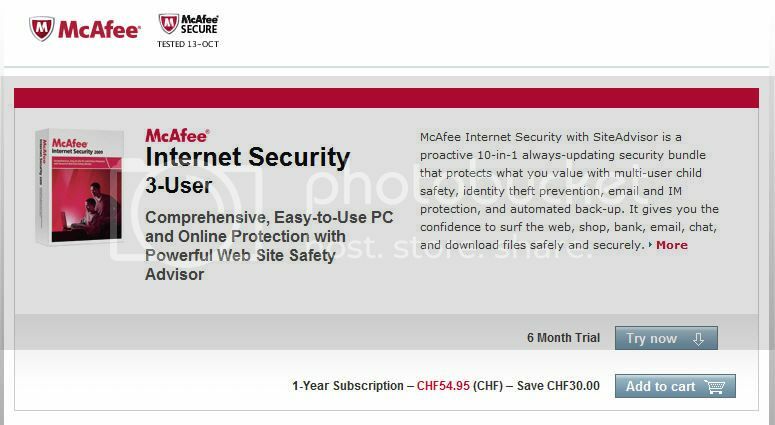 Here’s an awesome promotion by McAfee UK through which you can get McAfee Internet Security 2010 License for 6 months absolutely free. You’ll also be provided with full updates and support for the 6 month period. Sounds cool isn’t it? Well, here’s how you get your free copy? First go to McAfee UK promotional page. Click on the ‘Try Now’ button. One the next page click on ‘Register now’. You’ll land on a new page. Here you need to furnish your details. Enter your name, address, email id and new password for the account. After you have signed up your order will be automatically processed and you will be taken to the order confirmation page. Click on the ‘Download Now’ button to download McAfee Internet Security 2010 for free.